Ok, I will be frank I love sweet potatoes and cannot wait for when they are in season. Yes, I know I can buy canned but they are never as good as fresh. 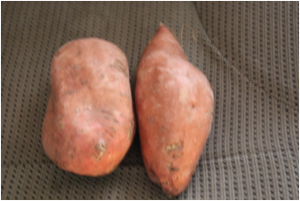 Below is a unique recipe for using sweet potatoes. While I adore these biscuits just as they are, they are also wonderful to use as the bread for a ham sandwich. Start the fire to prepare the coals. Lightly grease the inside of a 10 inch Dutch oven with liquid or spray oil. Peel the sweet potato and mash. You will need ¾ cup of this ingredient. In a bowl, mix flour, salt, granulated sugar, brown sugar, baking soda, and baking powder. Cut cold butter into small pieces and place in the bowl from step 4. Cut the butter into the flour mixture with two forks or pastry blender. Continue to cut the butter until the mixture is crumbly. In a separate bowl, combine the mashed sweet potato and buttermilk. Once stirred, add the sweet potato mixture to the flour mixture and combine. You can roll out the dough and cut the biscuits or you can drop biscuits into the 10 inch Dutch oven by the tablespoons. How every you choose to form your biscuits, once the 10 inch Dutch oven is full add the lid to the Dutch oven. Move the Dutch oven to a heat resistant surface. On the heat resistant surface, arrange eight coals in a circle and move the Dutch oven on top of these coals. Cover the lid with coals and cook for 15 minutes. After the time has passed, knock off the coals from the lid and move the Dutch oven off the coals. 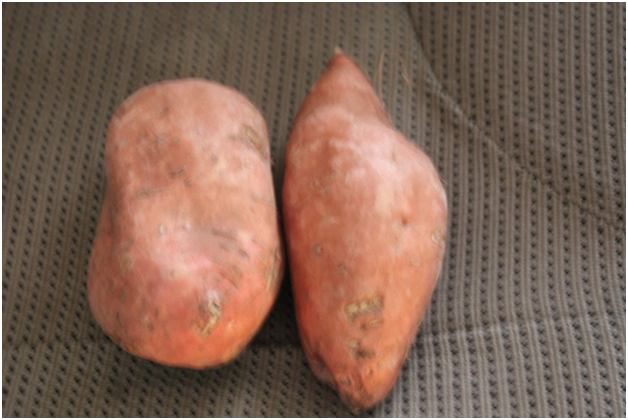 As I have stated, I love sweet potatoes but if you do not have any do not discard this recipe. You can substitute any winter squash for the sweet potatoes. This would include butternut, and acorn squash. When doing the substitution though, make sure to cook the squash completely prior to mashing and adding to the recipe.